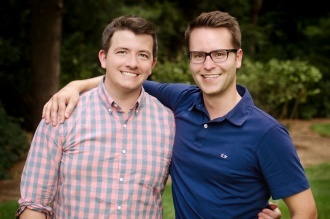 Adoption Profile - Adoption Story - Hopeful adoptive parents, CJ and Patrick, wish to adopt a baby. We currently live in New York City. We LOVE it and can't wait to raise our children here. Just one block to Central Park which offers lots of green space and playgrounds in our big city. Within walking distance is our local movie theater, tons of great restaurants, museums, children activities and some of our closest friends. We love the diversity of our neighborhood and the abundance of families. We love being able to walk or hop on a subway to go to a Broadway show, street festivals or other exciting activities in the community. We live in a four bedroom apartment on the Upper West Side. Our home has a large living area to relax, unwind and watch TV. We have a spacious kitchen for Patrick to cook (and bake) and a separate dining area to entertain our family & friends. Patrick is the chef in our family and we make family dinners a priority during the week. Jack has a cozy woodland animal themed bedroom with a big toy chest and full bookshelf. Close by we have our bedroom and Hamlet (our dog) has his own room. We also have an additional guest bedroom for visitors, especially CJ’s mother, who loves to come often to visit her 1st grandchild. We adopted a blue Great Dane Puppy named Hamlet. He was born in Oklahoma in late December, 2016 and is growing fast. Hamlet is a true gentle giant who loves children (everyone) and can't wait to meet his new brother or sister. He is full of energy and loves to go running in the park, strolls through the neighborhood and playing with other dogs. CJ was born in Philadelphia, PA at the Naval Hospital and both his parents were in the Air Force. He spent his early childhood at a variety of bases, including time in Europe and Japan, before moving to Cincinnati, Ohio. Growing up, CJ loved sports, especially ice skating and soccer. After graduating high school, CJ started a career in real estate, working his way up from a leasing agent to property manager. 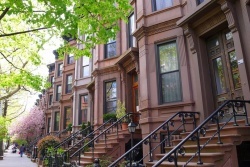 In 2012, CJ moved to Hoboken, New Jersey just across from New York City. CJ loves fitness classes from spinning, cross fit or running in Central Park. Currently, he manages a luxury high rise apartment building on the Upper West Side. When not exercising, CJ enjoys fashion, NYC dinning (especially tacos) and planning vacations – He can't wait to spoil our little one(s) and plan new family traditions. Patrick was born in northern New Jersey, less than half an hour from New York City. Growing up, he loved to play tennis and was very active in lots of organizations, including acting, singing, debating and his school newspaper. After high school, Patrick moved to the West Coast, to go to Stanford University in California. He continued his education and completed business school there as well. Even though Patrick enjoyed the West Coast, he always knew New York was home. He moved back after school, working first on Wall Street, and then became a real estate investor. In his spare time, he loves to go running and has completed five marathons. He has always loved Broadway shows and the museums in New York City, which he can't wait to share with his children.